Was there a time when smoothies weren’t such a “thing”? It’s hard to remember what kind of world that was-right?! HA. But seriously, smoothies and smoothie joints have gained so much popularity in recent years. Superfood smoothies, fruit smoothies, green smoothies-so many possibilities. When I first started dabbling in the smoothie-game I never used a recipe-which means I never had a very good smoothie. Turns out the ratios of ingredients really does matter! I’ve finally perfected a quick, easy, and DELICIOUS recipe that I make regularly for me AND my toddlers (one of which is extremely picky!). The fact that this is a winner with my boys is HUGE because it is such an easy way to get them some really great nutrition first thing in the morning and it fills their bellies. Another reason I love these smoothies for my little ones is because of the iron in the spinach. In fact when our pediatrician asked about their diet and we informed her that they were predominantly plant-based, her concern was not protein it was iron. And when Mason was a year old he was in the low-range so we upped his dark, leafy greens, beans, and legumes. We did this, in part, by adding green smoothies to his diet! With under 10 simple ingredients, this smoothie comes together quickly and there’s no searching for obscure ‘superfoods’ or odd ingredients—although you could totally throw in whatever else fits your needs! 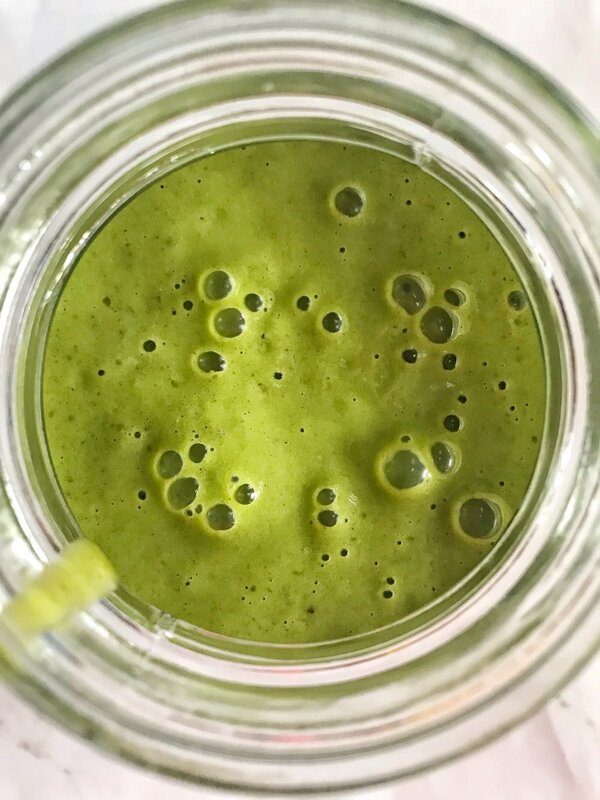 My Go-To, Kid-Friendly GREEN SMOOTHIE! This smoothie tastes like a milkshake but it is packed full of nutrition! Your little ones won’t even notice all the ‘good stuff’! Makes: 2-3 depending on how much you and your little ones will drink! Blend all ingredients in a high powered blender until smooth and enjoy!